Scope: Patriot Homes is an adaptive re-use of the existing D Street police station into 24 apartments for very low income military veterans. 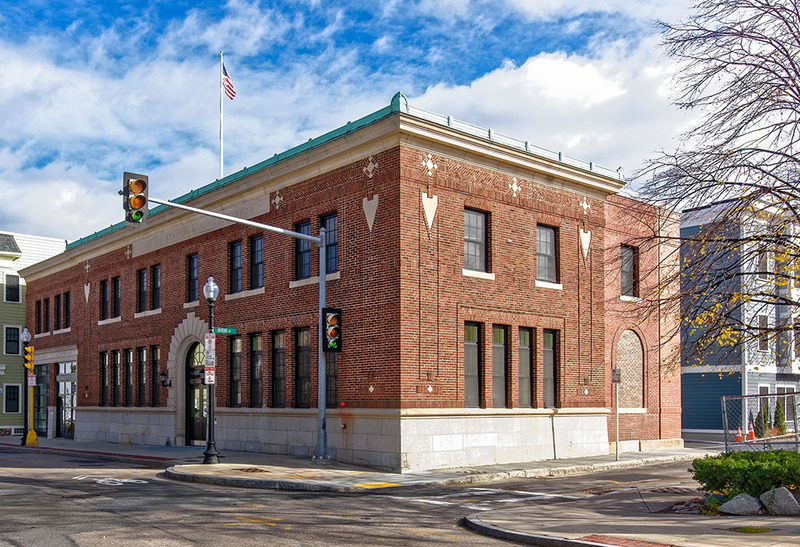 The front portion of the existing police station was converted into 11 studio apartments, 1 one bedroom apartment, and a management office space. The rear portion of the existing building was demolished and a new 12-unit building was constructed in its place containing 2 one bedroom and 10 two bedroom apartments. Five apartments were set aside for homeless or formerly homeless veterans. Six units will have project based rental assistance. Eight of the units will be handicap accessible and there will be a parking area for 10 cars. Caritas strives to prevent new instances of homelessness by providing affordable housing to working people who earn significantly less than the area’s median income, many of whom often live paycheck to paycheck. Bilt-Rite has had the pleasure of working with Caritas Communities for the past 15 years on several projects. The business relationship is further forged by each company’s mission statement. Caritas strives to prevent new instances of homelessness by providing affordable housing to working people who earn significantly less than the area’s median income, who are often living paycheck to paycheck. Bilt-Rite is an established leader in building affordable housing in Boston, with roots to the community and a proven track record of utilizing minority and resident workforce participation. Together the companies provide an essential need for the communities it works in. The Patriot Homes project is a great example of the company’s collaborations as the project meets an essential need in South Boston, which has one of the highest percentages of veterans of any Boston neighborhood. The range of available housing types and the support is greatly needed in the community and the affordability is critical to serve the range of needs that veterans typically face.